The Client Emergency and Enhancement Fund is a donation option that is available to make it possible for DSI clients to attend events and get the help they need in an emergency. 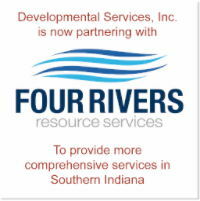 Below you find three examples of clients that this fund has assisted. Collin’s favorite thing about DSI is the friendships that he has made. He is involved in choir and loves singing Footloose. When he is in art class, he is usually painting a panda. Over the past year, Collin started utilizing the fitness classes offered at DSI and has lost over 20 lbs from using the treadmill, biking and strength training. 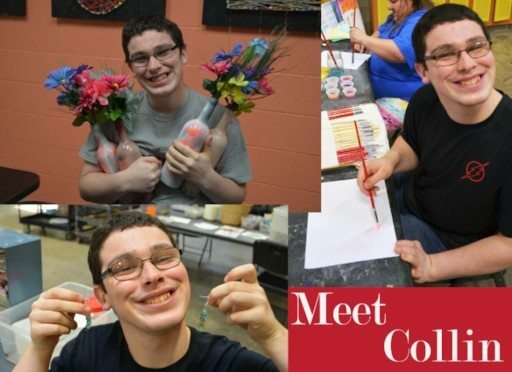 When Collin is not at the DSI day program, he loves to spend time in the community attending Downtown Columbus events and going to the movie theater. Helen’s favorite part of DSI is that she has been active in selecting her staff and she appreciates the fact that they listen to her and help her access things in the community. She has utilized the Client Emergency fund after she transitioned to an accessible apartment with the ability to live by herself. Living alone has allowed her to get her own cat, Oreo. Helen loves to cook with her Crockpot as well as making soups. When she isn’t cooking she enjoys being in the community going to bingo and thrift store shopping. Helen has two jobs, cleaning offices at both Daviess Day Programs and Covered Bridge Property Management. Jonathon is president of Self Advocates Group at DSI. His favorite thing about DSI is that he has been supported to go after his dream of working at the fire department, while currently attending classes at Ivy Tech for Emergency Services. Jonathon was also elected to the Self Advocates of Indiana Board and with the help of skills learned at DSI, he has earned his drivers license and his own pick-up truck. He is also living in his own apartment. 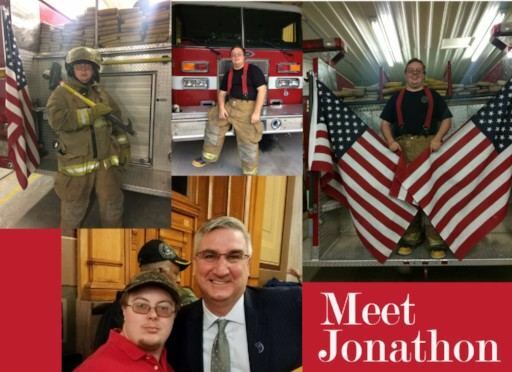 Jonathon has participated in the ARC of Indiana Valentine’s Day event at the State House where he spoke with officials including Governor Eric Holcomb regarding disabilities.